LBI, Kobber-, bronse- og messingstøperi, Støperier for spesialstål og kvalitetsstål, Stainless steel embossing,r på EUROPAGES. 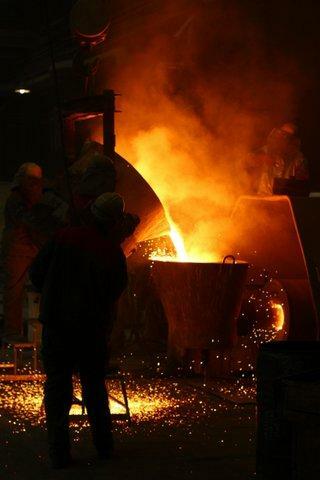 LBI (Les Bronzes d’Industrie) is a foundry that provides centrifugal (spun) casting. 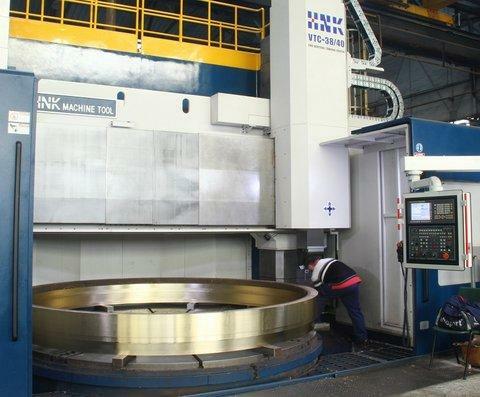 We have the capacity to handle a wide range of diameters, from 80 to 5000 mm and up to 20 tonnes, with many different alloys further to our customers’special requests. Our catalogue includes copper alloys (bronze, brass, aluminium-bronze, copper-nickel and pure copper), stainless steels (duplex, austenitic, martensitic, ferritic, heat-resistant steels and nickel-based alloys) and aluminiums. We cast and machine revolving annular (rings, bushes) or tubular (tubes, liners) pieces (rings, sleeves, tubes and cylinders) using centrifugal (spun) casting process. 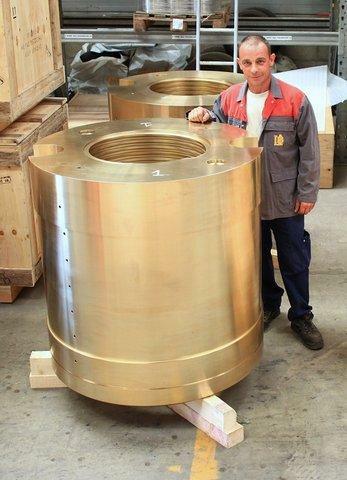 We deliver as-cast, rough or fully-machined parts. LBI is a member of the LBI Foundries Group (www.lbi-foundries.com) as well as SRI and Inoxyda, two foundries specialising in sand casting of copper alloys. The company benefits from exceptional technical skills and highly experienced staff and has a large number of certifications.